If you used to read my wordpress blog, I bet you thought I was an awesome blogger. 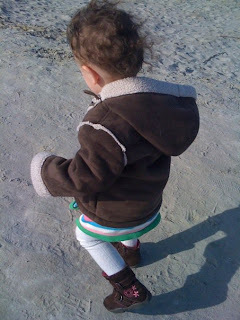 My posts were full of pictures, recipes, crafts and fun. This blog, not so much. Good news, I've reloaded and updated my Nikon transfer programs. Hopefully, that means I can upload to my Mac soon. 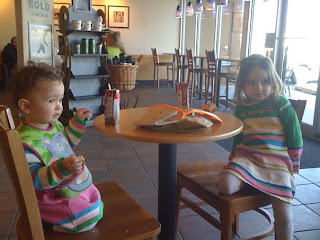 We started with breakfast at Starbucks. Then we went to church. No pictures of that. Then, we went home for lunch, again, no pictures. Then, Daddy said it was time for a Sunday afternoon drive. 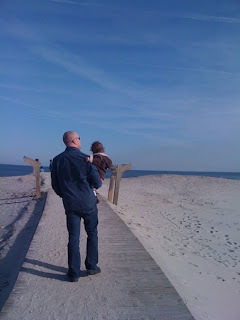 So, he took us on his first trip to Assateague Island. We saw horsy bottoms, and regular views. 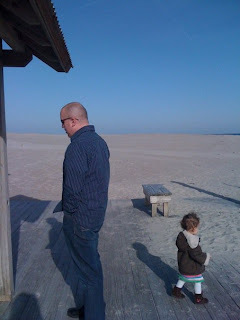 Daddy reading about the island. Specifically, fishing. 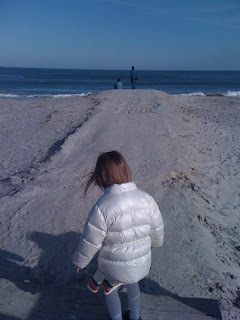 Oh, how I wish I lived that close to the beach:-) I remember visiting Chincoteage and Assateague Island as a kid!!! Ahhh! How AWESOME! 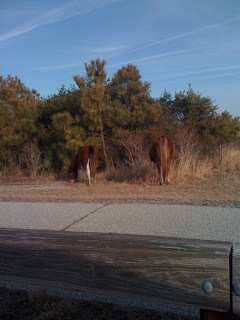 I've always wanted to go to Assateague Island...ever since I read Misty of Chincoteague as a little girl. How cool! That is so amazing, I too was a Marguerite Henry fan, I loved the Misty books among the others she wrote. Actually, I think King of the Wind is even better, but that is really cool that you were able to visit!